Most Americans don’t believe it is possible to move to another country—much less Mexico. Before they can even entertain the idea, they start thinking about visas, passports, legal hoops, and citizenship difficulties. Moving to another country, they think, just seems impossible. Especially for those without citizenship. Not to mention, is it even possible for Americans to buy real estate in Cabo Mexico? Well, before you go down that rabbit hole, allow me to give you peace of mind. I moved to Cabo several years ago from California. I own real estate here and live here full-time. Not only that, but I’ve opened a real estate practice where I now help others do the same. So let me tell you, it’s not as hard as you might think. Americans can absolutely buy real estate in Cabo and live here without citizenship. Here’s how it works. Am I Legally Allowed to Own Real Estate in Cabo? 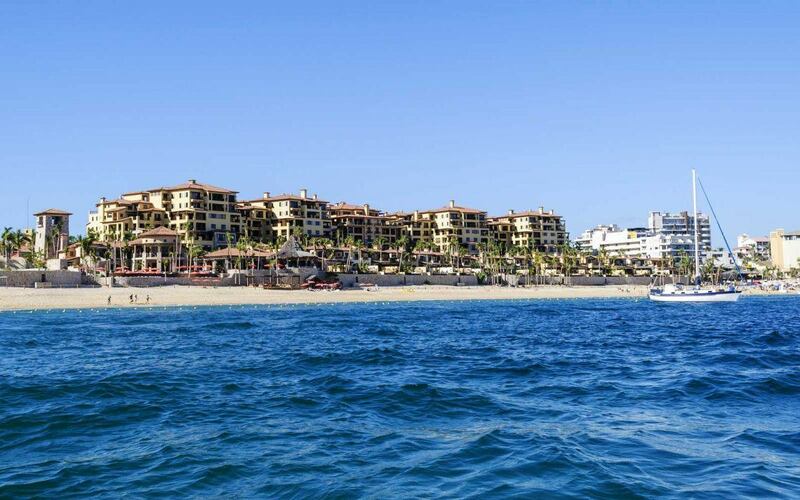 If you are a foreigner, buying real estate in Cabo is relatively easy. Thanks to a 1973 amendment, any foreigner is able to buy real estate in Mexico without a problem so long as the property is not within the “restricted zone.” The restricted zone is defined as property that is less than 63 miles (100 kilometers) from from a border and less than 31 miles (50 kilometers) from a coastline. I can practically hear you thinking it—31 miles from the coast? But what about all that beautiful beachfront property? Thankfully, Americans can still buy within the restricted zone by working with a lawyer and notary to broker a “trust” or “fideicomiso.” This trust is technically owned by the bank (and is thus legal) but the American purchaser becomes the beneficiary of the trust. As such, the American can lease, sell, or pass down the property to whomever they wish. The process of purchasing real estate in Cabo is similar to purchasing real estate in the United States. Using a licensed real estate agent, Americans can search for a property then make an offer on it to the seller. Once the seller and buyer agree upon a price, the American obtains a permit from the foreign secretary’s office. The seller transfers the property to the buyer, the buyer pays any notary costs, acquisition taxes, registration fees, and title insurance, and the seller pays the real estate agent(s). All of this, of course, is brokered by a real estate professional. Having spent more than 25 years owning a successful real estate law practice in California, this is my particular specialty. I have vast transactional and litigation experience and would be happy to help you purchase real estate in Cabo Mexico. Check out my current listings or contact me for more information.